Researchers at TØI, KTH and RISE/Victoria AS in Sweden have conducted a surveys of 1000 vehicle buyers in Sweden and Norway as well as interviews with Norwegian car salespeople. Buyers of battery electric vehicles (BEVs) and plug-in hybrid vehicle (PHEVs) emphasize environmental characteristics, whereas petrol/diesel (ICEVs) vehicle buyers put traffic safety high. All vehicle buyers consider reliability as the most important thing about the car to be purchased, then follows the economy. The BEV buyers are well prepared when they come to the sellers, having decided which kind of car to buy. A minority of the customers (10-20%) consider their decisions to be influenced by the seller. Customers get as much information from social contacts and media as from the salespeople. For all car types, the customers believe that the sellers do a very good job. 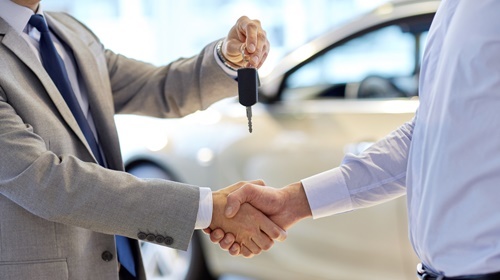 Sellers analyse customers’ needs and provide accurate information about the public incentives as well as the technical and economic characteristics of the vehicles. Sellers get the same training for all cars sold by their companies, thinking they treat all car types in the same way. Petrol/diesel vehicle buyers appear to get more attention from the sellers, maybe because these customers need more information.